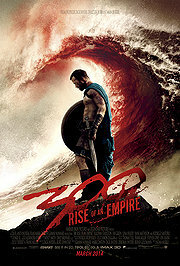 300: Rise of an Empire – The Greeks and Persians are at war again in Frank Miller’s latest graphic novel, Xerese. The battle has moved from land to the sea, and the warriors have increased from 300 to a hell of a lot more. Themistokles (Sullivan Stapleton) is leading the Greek army against mortal turned God, Xerxes (Rodrigo Santoro) and the fierce general of the Persian Army, Artemisia (Eva Green) who has a score to settle. Supporting cast includes, Lena Headey, David Wenham, Andrew Tiernan and a horde of digital fodder all moving in varying speeds of dramatic slow motion. Written by Kurt Johnstad and Frank Miller, directed by Noam Murro and in wide release from Warner Brothers. Bethlehem – Israel’s West Bank is not for the faint of heart. An Israeli Secret Service agent is training a Palestinian youth to spy and work both sides. He shuttles him back and forth, and the more he does, the less the youth knows whom to believe. Suicide bombers, spies, informants, double agents, lies and lives all get jumbled in this taunt thriller. Would make for an excellent double feature with Omar. 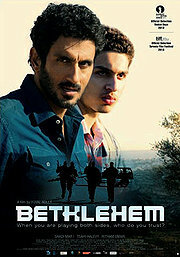 Starring Shadi Mar’i, Hitham Omari, Michal Shtemler, Tsahi Halevy, Tarek Copti and Yossi Eini. Written by Yuval Adler and Ali Vakad with Adler directing as well. Adopt Films gives this Israeli import a limited theatrical release. 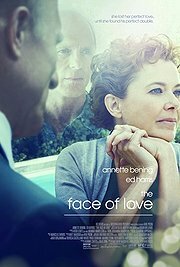 The Face of Love – Nikki (Annette Bening) is having a difficult time moving on after the loss of Garrett (Ed Harris). He was everything to her, and now he is gone. She fills her time at museums and art studios, and then, Garrett appears. Well, not exactly Garrett, he is Tom (Ed Harris again) but he’s a dead on ringer for a look-a-like contest. Nikki can’t help herself and falls for Tom, even if her daughter, Summer (Jess Weixler) doesn’t exactly approve. A rose by any other name would still smell as sweet, so who’s to harm? Co-starring Robin Williams and Amy Brenneman. Written by Matthew McDuffie and Arie Posin with Posin directing as well. In a limited theatrical release from IFC Films. 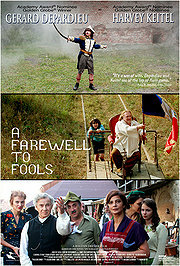 A Farewell to Fools – Once upon a time, in Nazi occupied Romania… A small country village has been virtually untouched by the Reich, but when a German solider turns up dead in a field, the Nazi Party shows up and does what the Nazi Party does best, behave like a bunch of intimidating bullies. If the person responsible for the murder does not confess, then they will execute the ten members of the town’s parliament. No one comes forward, so the village Priest (Harvey Keitel) decides to turn over the village idiot (Gérard Depardieu) in hopes of killing two birds with one stone. Laura Morante, Bogdan Iancu, Adina Cartianu and Daniela Nane co-star in this comedy from writer Anusavan Salamanian and director Bogdan Dreyer. Out in limited release from Monterey Media. 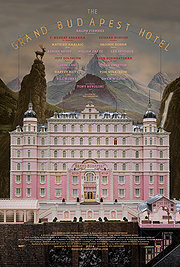 The Grand Budapest Hotel – Gustav H (Ralph Finnes), the legendary concierge of The Grand Budapest Hotel, has seen the entire European continent transformed through two wars. His new protégé, Zero Mustafa (Tony Revolori) is about to learn how to follow in Gustav’s footsteps, but first there is this business about a deceased countess (Tilda Swinton) and a very famous painting that everybody is clamoring for. Auteur extraordinaire, Wes Anderson, films his storybook movie in classic Academy Ratio and brings his always impressive cast with him: Saoirse Ronan, Bill Murray, Jeff Goldblum, Jason Schwartzman, Willem Dafoe, F. Murray Abraham, Adrien Brody, Edward Norton, Harvey Keitel, oh there are just too many of them to name here, best just to run out and see it. In limited release from Fox Searchlight. 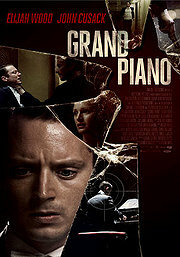 Grand Piano – Tom Selznick (Elijah Wood) is an incredibly talented pianist who is crippled by stage fright, which has kept him from the public eye for far too long. Trying to regain his notoriety and fame, he takes to the stage once more, but this time, something far more serious is threatening him. An unknown music lover (John Cusack) has taken Selznick’s wife hostage and will kill her and kill Tom if Tom plays one wrong note. He is a real fan of perfection. Co-starring Kerry Bishé, Tamsin Egerton, Alex Winter and Dee Wallace. Written by Damien Chazelle and directed by Eugenio Mira. Magnet Releasing gives this a limited theatrical run along with a full On Demand backing. 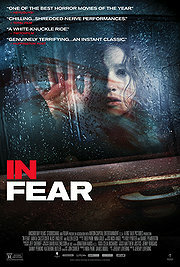 In Fear – Tom (Ian De Caestecker) and Lucy (Alice Englert) are young, in love and horribly lost. They were on their way to celebrate their anniversary, but they took a wrong turn and now they are in some sort of maze constructed in the English countryside. They know it’s a maze because someone, or something, is toying with them. Their car alarm goes off, their clothes appear on the road, and Lucy keeps seeing something. Will they make it through the night or is this the end of the line for Tom and Lucy? Allen Leech and Jemma Powell are also featured in this tense movie from director Jeremy Lovering. In limited theatrical release from Anchor Bay with a full On Demand backing and a DVD release soon to follow. 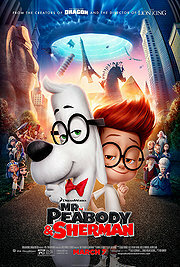 Mr. Peabody & Sherman – Mr. Peabody (Ty Burrell) is the most accomplished and intelligent dog in the history of accomplished and intelligent dogs. At his disposal is the all-important WABAC machine, which allows Mr. Peabody to go-you guessed it-way back in time. His faithful companion, Sherman (Max Charles) likes to tag along and keep Peabody company but Sherman is growing up and his attention is drifting from history and dogs to girls. Looking to impress Penny (Ariel Winter), Sherman takes her in the WABAC and has a little fun with history. Now Peabody, Sherman and Penny all have to head back in time and undo whatever it is that was done to mess everything up. Additional vocal work from Allison Janney, Stephen Colbert, Leslie Mann, Patrick Warburton, Stanley Tucci and many more. Directed by Rob Minkoff and in wide release from DreamWorks Animation and 20th Century Fox. 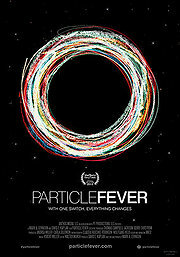 Particle Fever – The Hadron Collider is the largest machine humans have ever constructed. Why did they do it? In hopes of better understanding our origin. Talk about ego! Over 10,000 scientists from 100 countries have come together to work on it and they are all looking for the Higgs Boson, a particle that might explain the origins of The Big Bang. Watching these scientists is like being allowed to peek in on Edison and Da Vinci while they were at work. History is in the making. This documentary is written and directed by physicist turned filmmaker, Mark Levinson and edited by the great Walter Murch. Out in limited release from BOND360. 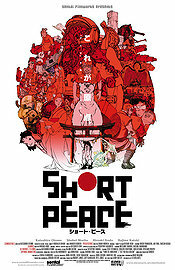 Short Peace – An anime omnibus collection of short films that director Katsuhiro Otomo wishes to spotlight. This is a sequel in spirit to his 1995 collection Memories and features the work of Shuhei Morita (Academy Award nominated Possessions TSUKUMO), Hiroaki Ando (Gambo), Katsuhito Ishii (Five Numbers! ), Hajime Katoki (A Farewell to Arms BUKI YO SARABA) and Otomo himself directing the award-winning Combustible HI-NO-YOUJIN. Brought to the states in and very limited release from Eleven Arts Films. This entry was posted in Movie Beat and tagged 300: Rise of an Empire, A Farewell to Arms, A Farewell to Fools, Adina Cartianu, Adrien Brody, Alex Winter, Ali Vakad, Alice Englert, Allen Leech, Allison Janney, Amy Brenneman, Andrew Tiernan, Annette Bening, Anusavan Salamanian, Arie Posin, Ariel Winter, Bethlehem, Bill Murray, Bogdan Dreyer, Bogdan Iancu, Combustible, Damien Chazelle, Daniela Nane, David Wenham, Dee Wallace, Ed Harris, Edward Norton, Elijah Wood, Eugenio Mira, Eva Green, F. Murray Abraham, Five Numbers!, Frank Miller, Gambo, Gérard Depardieu, Grand Piano, Hajime Katoki, Harvey Keitel, Hiroaki Ando, Hitham Omari, Ian De Caestecker, In Fear, Jason Schwartzman, Jeff Goldblum, Jemma Powell, Jeremy Lovering, Jess Weixler, John Cusack, Katsuhiro Otomo, Katsuhito Ishii, Kerry Bishé, Kurt Johnstad, Laura Morante, Lena Headey, Leslie Mann, Mark Levinson, Matthew McDuffie, Max Charles, Michal Shtemler, Mr. Peabody & Sherman, Noam Murro, Particle Fever, Patrick Warburton, Possessions, Ralph Finnes, Rob Minkoff, Robin Williams, Rodrigo Santoro, Saoirse Ronan, Shadi Mar'i, Short Peace, Shuhei Morita, Stanley Tucci, Stephen Colbert, Sullivan Stapleton, Tamsin Egerton, Tarek Copti, The Face of Love, The Grand Budapest Hotel, Tilda Swinton, Tony Revolori, Tsahi Halevy, Ty Burrell, Walter Murch, Wes Anderson, Willem Dafoe, Yossi Eini, Yuval Adler. Bookmark the permalink.